I’m happy to introduce the fourth blog in my new series ‘A Local’s Guide to’. In this series I’m challenging travel-savvy women from around the world to share expert local knowledge on the city they call home. This month’s instalment comes from the lovely Polly Byles of Follow Your Sunshine. 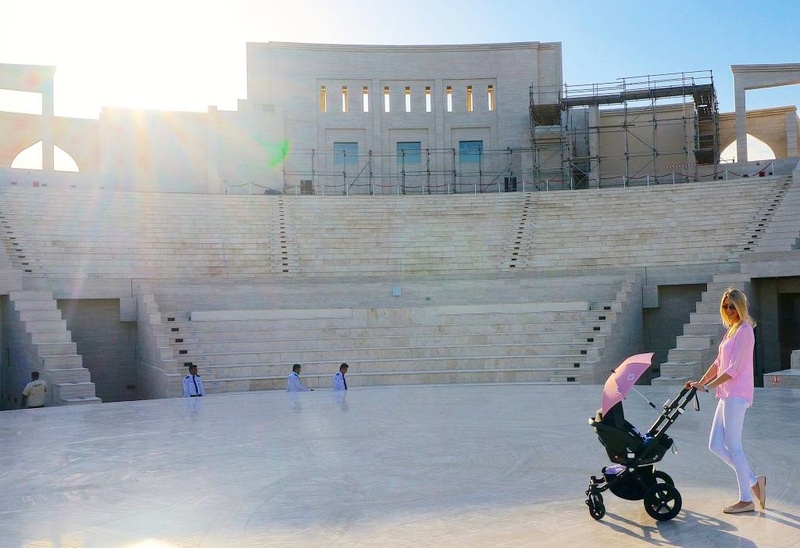 Polly is a UK expat and lifestyle blogger living in Doha with her husband Rich and gorgeous daughter Sophia. I love following their fabulous Doha lifestyle and seeing Sophia grow up. 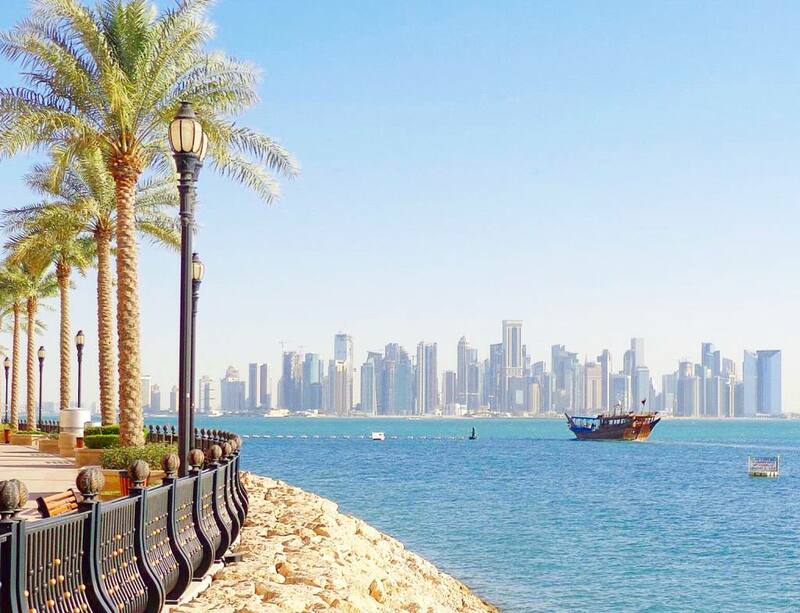 Polly has now put together this city guide to Doha exclusively for The Travelista, featuring all of her top recommendations. Take a read and you’ll touch down in Doha totally in-the-know. Doha is a city that many people have heard of, but in reality know surprisingly little about. Doha is the capital city and most populous settlement of Qatar, a small peninsula country surrounded by the waters of the Persian Gulf in the Middle East. It’s experienced a surge in interest since the country was awarded hosting rights for the 2022 FIFA World Cup back in 2010. Tourists have historically by-passed the city in favour of its bigger, brighter and more bustling sisters, Dubai and Abu Dhabi (both just around the corner in the UAE). However, the new Hamad International Airport, which is conveniently situated at the point on the globe where East meets West, has rapidly become a tourist ’hub’, with 30 million people passing through its gates each year, thus opening up opportunities for those that are interested to explore what Doha has to offer. And explore you should! This city has been home to my family and myself for three and a half years now, and despite the searing heat of the summer months, and the little niggles that can make it a difficult place to live at times, it has a lot to offer in terms of culture, food, architecture and entertainment. I know in my heart of hearts that it will always be a temporary home rather than a forever home for us, but that helps me to view every day in this city through the eyes of a tourist. Let’s face it, most of you will not be visiting Doha as a final destination in itself, but will more likely be passing through as part of a wider tour of the Middle East, or on a layover en route to somewhere else – especially since Qatar Airways announced at the beginning of May that it would be giving away complimentary stays at many of the international hotels in Doha with its new Transit Visa. If you are passing through the city and have decided to take advantage of this excellent offer, then I think that two to three days should be enough time for you to see the best of the city, and there are 8 things in particular that you definitely shouldn’t miss during that time! Designed by famous architect I. M. Pei (probably better-known for his glass pyramid outside of the Louvre in Paris), the Museum of Islamic Art is both an architectural wonder, and a fantastic museum in its own right, housing some of the world’s most extensive and impressive collections of Islamic artwork, spanning 1,400 years. However, my favourite thing about it is the beautiful park that it sits within. Brunch in the Middle East has a different meaning to brunch anywhere else in the world. Instead of a meal comprising of coffee and eggs taken in the late morning, it is a veritable feast consumed throughout the afternoon on a Friday (usually in the form of a buffet and accompanied by copious amounts of alcohol). You haven’t really experienced Doha until you have experienced the party atmosphere of one of its hotel brunches alongside the scores of merry expats who celebrate the coming of the weekend by eating, drinking and eventually dancing their hearts out in an indulgent fashion. 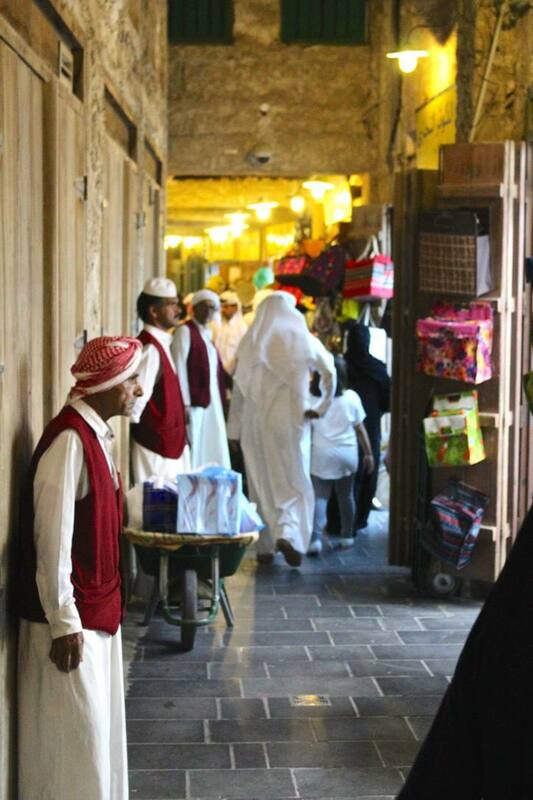 If you crave a culturally authentic experience when travelling to new cities, then a visit to Souq Waqif (the standing market) is a must. It is essentially a muddled centre of traditionally-built Qatari buildings, recently constructed on the site of a much older Souq, where you can easily get lost for hours while searching for little trinkets and hand-crafted gold or fabrics. Outside of Doha itself, bar the odd settlement here and there, the rest of Qatar is largely empty and serene. The huge expanse of the Arabian Desert stretches off to the north and to the south, and to many, the draw out into this uninhabited land of undulating dunes is magnetic. The best way to get around of course, is by 4×4, in a special, hair-raising off-roading style known as ‘dune bashing’. Organised tours can combine a morning’s dune bashing with other desert activities such as camel rides, visits to traditional bedouin camps, sand boarding and even diving trips. They’re definitely worth the money. Many are surprised to find out that Qatar isn’t all sand. North of Doha at Al Thakira, there are acres of mangroves where you can canoe through an intricate network of river channels, go bird watching and sing songs around camp fires as the sun goes down. A great option for nature lovers! 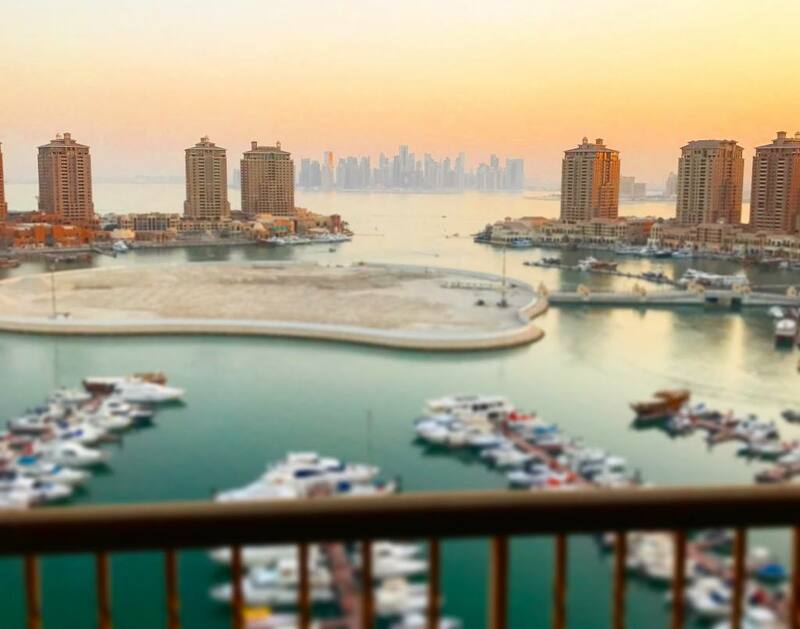 Comprising of 400 hectares of shops, restaurants and leisure facilities as well as numerous residential towers and a large marina of yachts, The Pearl Qatar is a manmade island in the shape of two inter-linked horseshoes. It also happens to be my home. Arguably the most cosmopolitan area in Doha, it is also home to the best coffee shops (keep reading), and a coffee in Flat White is a must. Head over to Tower 1 and catch a ride on a traditional Dhow Boat, for spectacular views of the city from the Persian Gulf. Katara was built to showcase Qatar’s unity and bring together the various cultures and nationalities of the country for common aims. Art exhibitions, music concerts, fairs and other installations are held within the village, but even when there is nothing going on, it is still a beautiful place for a wander. Stop at one of the restaurants for a bite, marvel at the architecture stunning blue-tiled mosque and its iconic dove cots or enjoy the views of the Arabian Gulf from the top of the sandstone Amphitheatre. Don’t leave without sampling an authentically Qatari drink and snack from Karak and Chapati. 8. Eat, eat and eat some more! I have never eaten so well in my life as I do now in Doha. The hotels across the city are the best places to get your fill, providing a range of restaurants and cuisines to cater to every palette. The one thing that they all have in common is that the food they serve is really, exquisitely good! 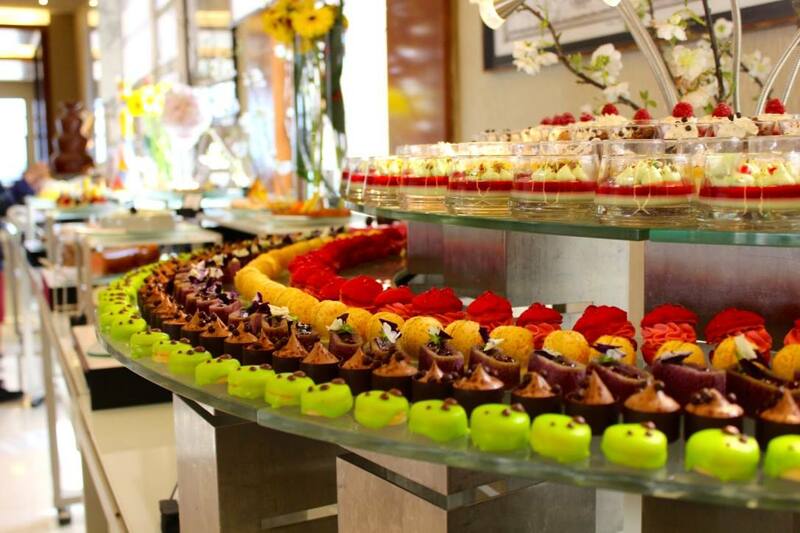 In a city of world class restaurants, it can be almost impossible to narrow down your choices! Luckily, I’ve visited quite a few of the eating establishments in this city at least once by now, and these days I find it relatively easy to reel off my top 5 recommendations of places to eat, drink and to brunch. Nobu burst onto the global dining scene several years back, and I was ecstatic when I heard that they were opening a branch at the Four Seasons Hotel Doha last year, mainly because of the Black Cod, which I would probably request as part of my last meal on earth. I’m yet to meet someone who doesn’t count Nobu among one of their favourite restaurants in Doha. Located inside the Museum of Islamic Art, Idam is Monégasque chef, and holder of three Michelin stars, Alain Ducasse’s first restaurant in the Middle East. The chic interiors are designed by Philip Stark, and the food is an interesting mix of French and Mediterranean with surprising Arabic twists. Zengo is a relatively new kid on the Doha restaurant block, but it has already made quite a name for itself. Located on the 61st floor of Kempinski Residences and Suites, the city’s tallest tower, the restaurant boasts sweeping vistas over Westbay and The Corniche. The Pan-Asian menu has been curated by celebrity chef Richard Sandoval, and everything from the sushi to the dim sum, and the curries to the wok dishes, is delicious. This restaurant is an oldie but a goodie, with a classical setting and style of service, and some really decent steak on the menu. If diners can’t decide on where to head for dinner, New York Steakhouse is always the failsafe option. Hakkasan is not just a beautiful Cantonese fine dining restaurant, it has rapidly become a world class brand and concept. With restaurants in London, Shanghai, Mumbai, all across America and The Middle East (some of which have been awarded Michelin stars), it’s built a name for itself as an establishment which is elegant yet energetic; innovative, while maintaining little nods to tradition. The Doha establishment is no less impressive, and has a few special unique features: their stunning Friday brunch for instance. The Belgian Café, which used to have the look and feel (and, er, smell) of an old man’s pub, has recently been relaunched with a newly-renovated terrace and upgrade to its interiors. Happily, the superb Belgian cuisine and extensive selection of draught beers remain. From the vibrant, statement pop-art style paintings of the interiors, to the cosy seating of the shisha terrace and the upbeat, shabby-chic vibe of Flipflops outside on the beach, the Grand Hyatt is my new favourite place to head to with friends on a weekend evening. Up on the roof of the Marsa Malaz, Illusion is a unique and rather delicious newcomer to Doha’s nightlife scene. Spectacular entertainment in the form of music, acrobatics and contemporary dance take place inside the domed bar, while out on the rooftop, the white sofas and lilting music result in a chilled-out vibe. Wahm’s ‘Wet Deck’ beside the W Hotel’s pool is a well-frequented spot by Doha-dwellers. The bar has recently been boldly redesigned with some artistic flair, and now includes an impressive bar food and brunch menu. Situated right next door to the restaurant, Zengo, this lounge bar boasts panoramic views of Doha, sleek and contemporary interiors and a menu comprising of innovative cocktails, Japanese sake and an extensive whisky list. Definitely the most sophisticated bar in Doha to date. No trip to Doha is complete without sampling a Friday brunch, and in my opinion, this is one of the best. Combining live food stations and static buffets, serving food from across the hotel’s world class restaurants, and including complimentary access to the hotel’s kid’s club for the littles in your life, there is something here for everyone. 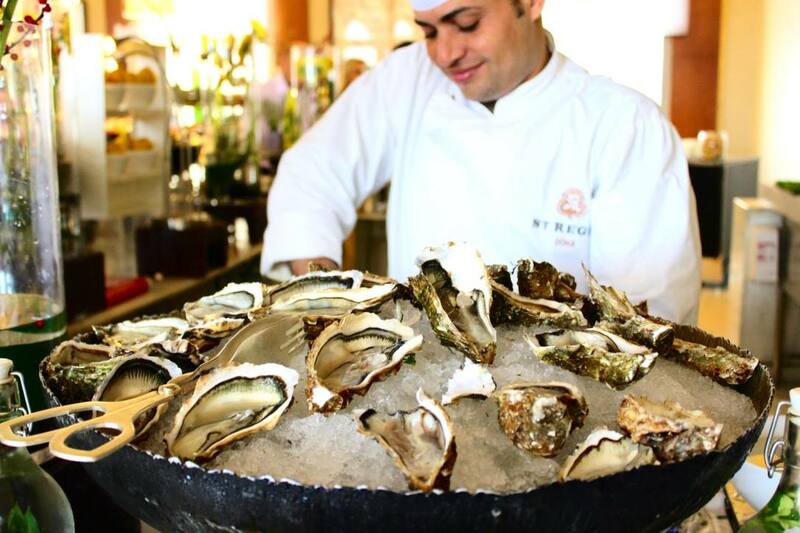 The Marsa Malaz’ signature brunch, held in their restaurant, Sawa is a great option for the choice, quality and presentation of the food on offer. There is a dedicated playroom for children and a whole room dedicated to cheese! Yes, you heard me right. Most brunches are held on a Friday and are buffet-style, but this one is special. It’s on a Saturday and it’s a la carte. Oh, and the menu only comprises of dumplings. The Japanese dumpling menu is exquisite and varied, and happily, for a set price, you can eat as many dumplings as you can stomach. Once a month, the Ritz Carlton holds a superhero-themed picnic brunch, which is lighthearted fun for all the family. If having your drinks served to you by batman floats your kids’ boats, and if you are partial to a superhero-themed food pun, then this is the brunch for you. Well-known as Doha’s only vegan café, Evergreen Organics is lesser-known for their exquisite, organic coffee. The white-washed walls, greenery and exposed wood also make it one of the most Instagrammable spaces in Doha. If you enjoy drinking coffee in a quirky location, then you will love this café, which is set in one of Doha’s old, renovated fire stations. Touches of the original building remain, and there is a large exhibition space next door which frequently hosts art installations from around the world. This innovative café with chic, French interiors is a flower shop come coffee shop, with a flower theme that runs throughout all of its cakes and coffees. Don’t miss the stunning rose latte or the moreish rose éclair. Empty Cup benefits from a central location within City Center Mall. It offers its customers carefully-selected specialty coffee and has rapidly become a lead player in Qatar’s coffee culture. 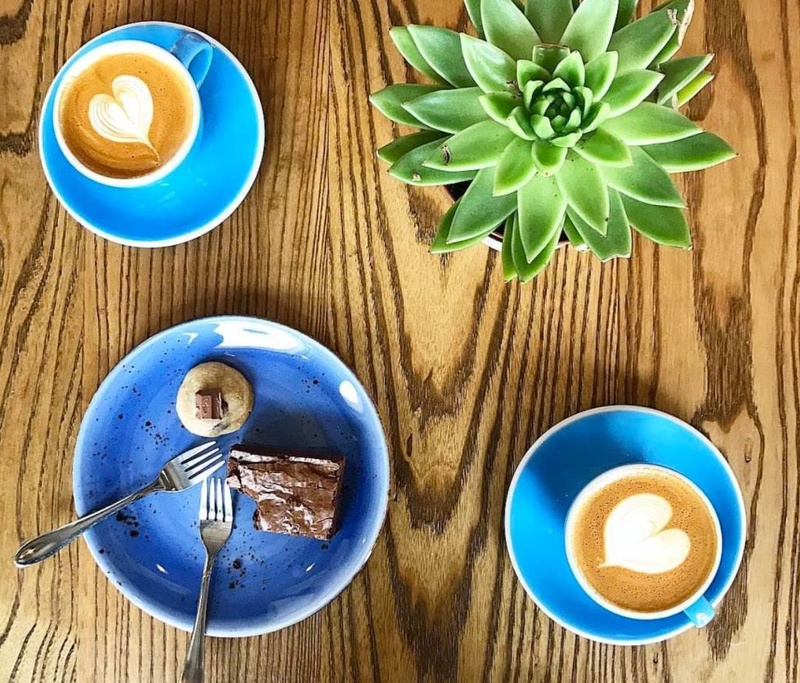 More than worthy of the two mentions it has been given in this Local’s City Guide to Doha, Flat White is the brainchild of a Qatari entrepreneur and combines chic and sleek interior decor with the best coffee this side of the Middle East. It’s so good in fact that the coffee shop boasts that they do not need to provide sugar for their customers, as the coffee speaks for itself and should not be tainted by anything else. I thought this was a little self-righteous of them…until I tasted their coffee, that is. The pool area at the Ritz Carlton feels like an oasis in the middle of the desert, with several different pools, waterfalls and bridges, surrounded by tropical foliage. The pool menu is a combination bar snacks and healthier salads, and the service is polite and friendly. 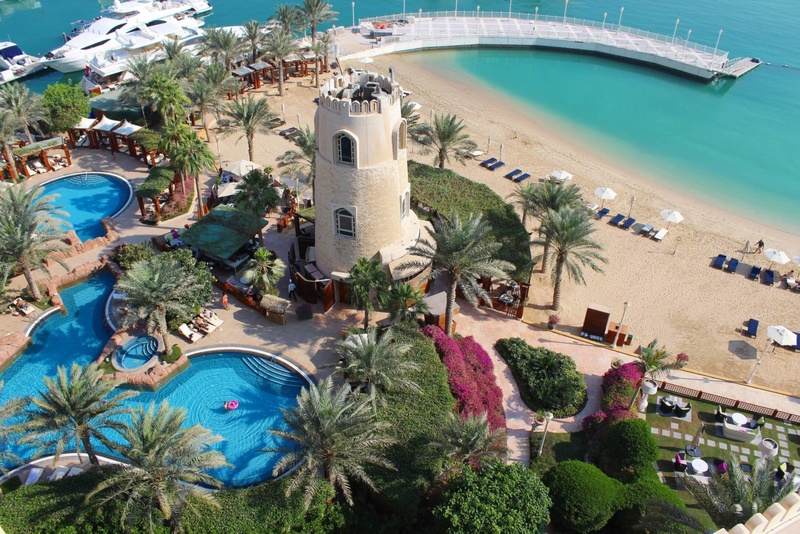 Part of the Ritz Carlton group, Sharq Village and Spa is a stunning waterfront resort, resembling a marbled sheikh’s palace, designed around cooling pools, fountains, lush gardens and intimate courtyards. Its real selling point, however, is its expanse of beach with pretty wooden, curtained cabanas which you can use to escape from the glaring heat of the sun. I might be a little biased however, because this is the spot where I got engaged. Some 20km west of the city, lie two things that are absolutely unique to this part of the world: a camel race track, which draws large crowds during the winter racing season, and a facility dedicated to raising Qatar’s national animal: the Oryx. Not so far away in Al Shaqab, you can also visit a Qatar Foundation breeding centre for Arab horses: the birthplace some of the world’s most famous thoroughbred racehorses. On the rolling limestone hills of the north eastern coastline of Qatar, some 90 minute drive from Doha, are hundreds of Neolithic rock carvings, including ancient board games, rosettes, ships and footprints. The man widely lauded as the world’s greatest living sculptor has created a series of steel, pillar-like sculptures which are fifty feet high and span over a kilometre in the middle of the Qatari desert. 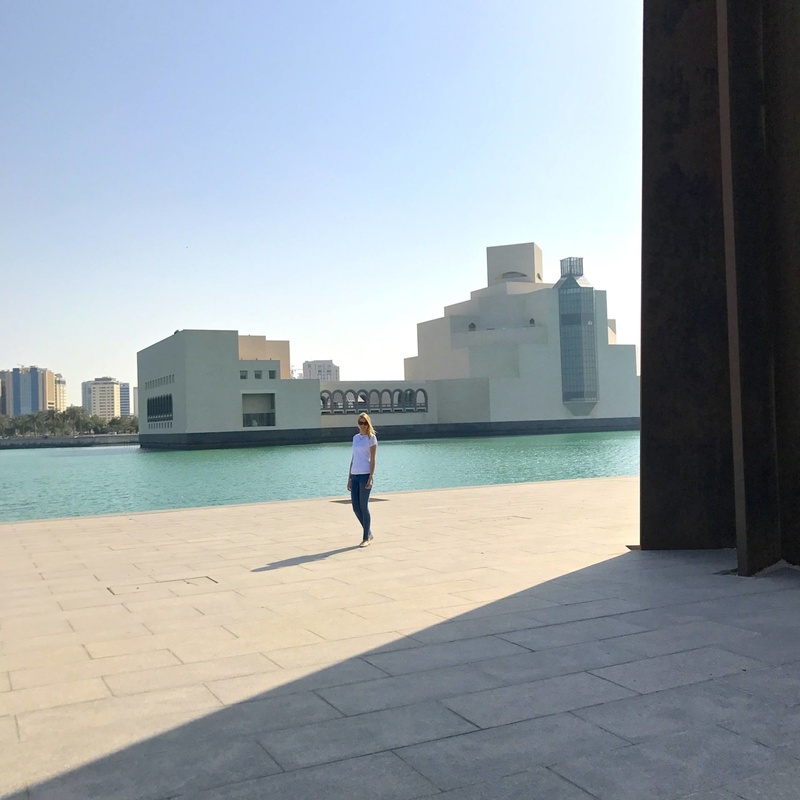 However, if you don’t fancy making the trip all the way out into the desert, Serra has also installed a towering steel sculpture at the end of the Museum of Islamic Art Park’s pier. It’s perhaps unsurprising that such a wealthy country has also become the location of many of the world’s top luxury hotel brands. 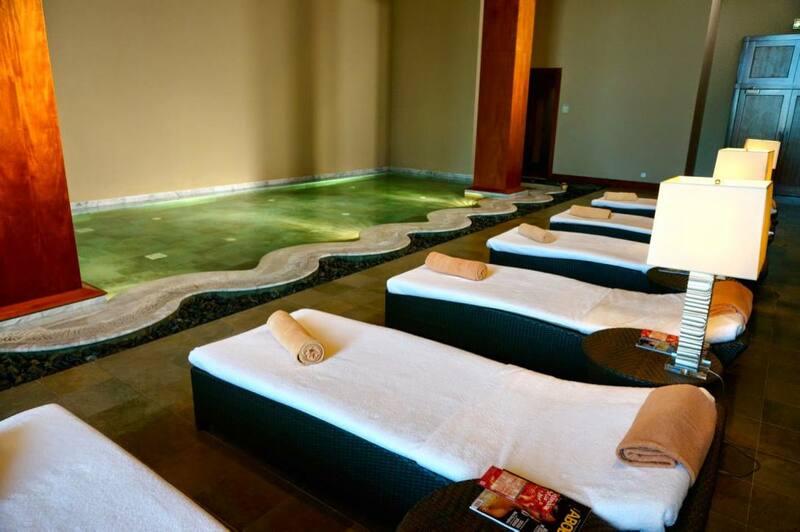 Over the past decade, decadent five star hotels have sprung up in abundance, bringing with them expansive gyms, sensational spas, extensive aqua-coloured pools and quite often, their own private beaches. 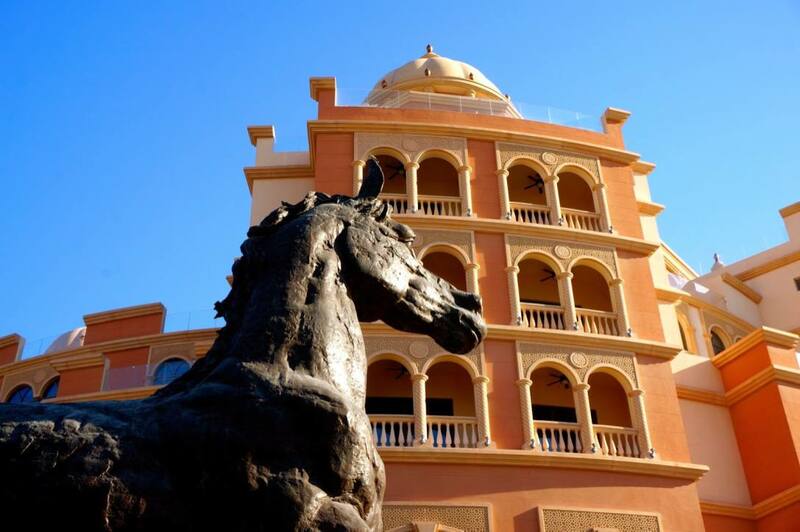 A building of palatial dimensions, with traditionally-Arabic features throughout, as well as an 18 metre tall statue of an Arab on the lawns outside, this is a hotel which doesn’t do anything by halves. It houses some internationally-renowned restaurants, and has some of the friendliest staff in Doha. Book Now. One of the more ‘upbeat’ five star hotels in Doha, the Grand Hyatt offers its visitors great restaurants and great nightlife alike. The furnishings of the rooms are a little dated, but the overall ambience of this lively hotel more than makes up for it. Book Now. If you are after a hotel that is a little more budget-friendly, then there is no better choice than the Doubletree. It is clean, cosy, exceedingly friendly, and has one of the best rooftop bars in Doha. Book Now. I saved the very best for last (read my full review here). The delightful and elegant Four Seasons is everything that you could wish for in a luxury five star hotel, with lagoon-style pools, a long stretch of beach, world-class spa and three of Doha’s finest restaurants. A night’s stay is on the slightly pricier end of the scale, but the whole experience is definitely one that you will never forget. Book Now. 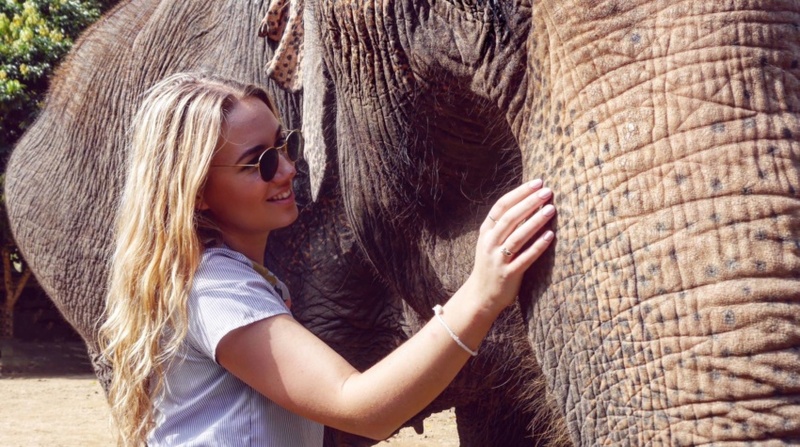 Originally from England, Polly Byles is a Doha-based Communications professional by day, and a food, family and travel blogger over at Follow Your Sunshine by night. When she isn’t tapping away at her laptop, she can usually be found exploring her adopted city, or eating at one of its many world class restaurants with her husband and toddler Sophia. She loves to travel all over the world with her family and is relishing all of the opportunities that being an expat brings. 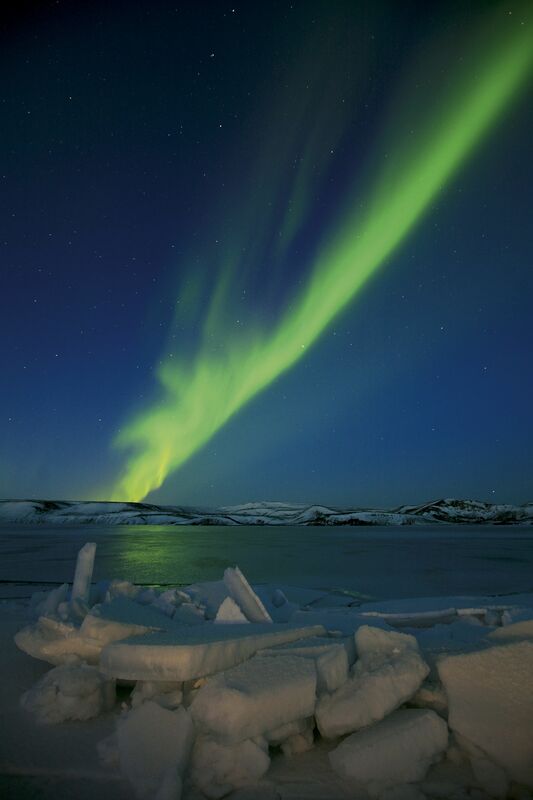 Keep up with all of her exciting family travel adventures on Instagram, Twitter and Facebook. 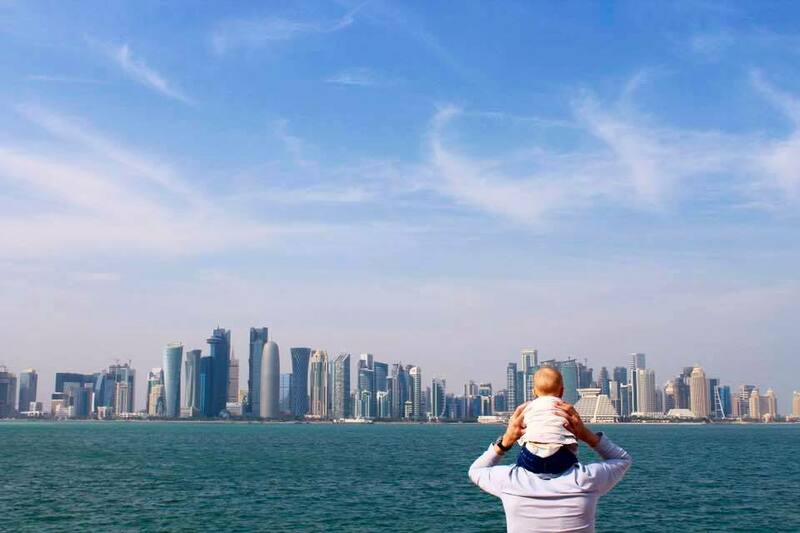 I never would have heard of Doha or Qatar’s deal on the trip without this blog! And I didn’t realize it was such a gastro destination! Great work! It’s a great deal! Thanks to Polly for mentioning it in the post. The restaurants sound like reason alone to go to Doha don’t they? 🙂 Thanks for your comment Richard. Love this!! 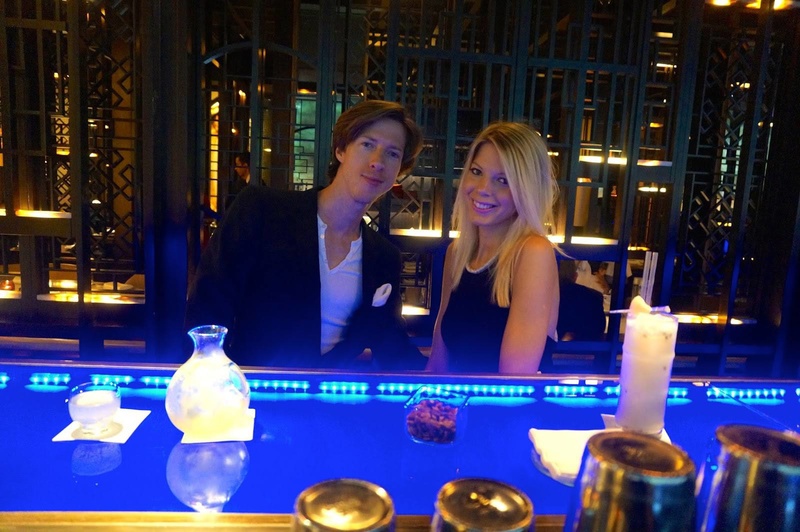 I went to Doha last October and Polly showed us a great time at one of the gorgeous bars on The Pearl! Doha is a great city for a stopover, super futuristic and like nowhere else. I love Polly’s blog and I’ve met the very, very lovely lady in real life along with Sophia and Rich. I really hope to visit Polly in Doha one day, I can imagine us going for lunch lunch at Nobu or brunch at the Four Seasons! !